RAPAPORT... The diamond and jewelry trade tends to be reactive rather than proactive. That was clear during the recent conference season, with the World Federation of Diamond Bourses (WFDB), the International Diamond Manufacturers Association (IDMA), the World Jewellery Confederation (CIBJO) and the World Diamond Council (WDC) all holding their annual meetings in October. Much of the discussion, according to reports from the meetings, was centered on how the trade should relate to synthetic diamonds. It’s a difficult question following the recent decision by the Federal Trade Commission (FTC) to expand the definition of “diamond” to include those grown in a laboratory. How does that apply to invoicing, advertising or grading reports? Having reached equal footing with mined diamonds in the eyes of the FTC, should lab-grown stones be allowed on the bourse trading floors? Of course not. And the trade restated its position that the use of the word “diamond,” without any qualifiers before it, refers to a natural stone by default. But language isn’t really the issue. Behind the debate lies a deep concern about the growing acceptance of synthetics — both in retail and within the trade. De Beers’ entry into the market has played a significant role in that development, giving others a green light to follow suit. 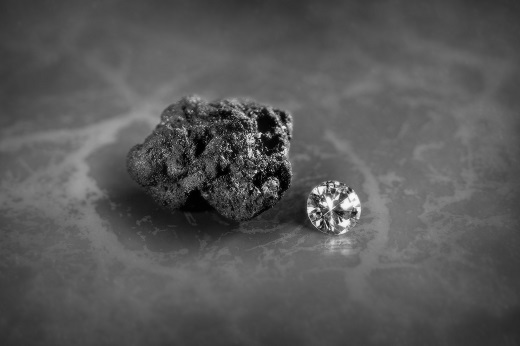 Forget De Beers’ claim that it is helping differentiate natural from synthetic diamonds through pricing. The company is encouraging demand for a product that will ultimately eat into the natural-diamond market. We’re seeing that already, with more retailers, such as Macy’s and JCPenney, convinced that consumers will “grow in love” with synthetic-diamond jewelry. The trade’s leadership claims it was blindsided by De Beers and the FTC. But its efforts at this point to engage with the FTC to revoke the decision will ultimately prove to be a case of too little, too late. Rather, we must recognize that the industry trade groups that met in Mumbai, along with CIBJO, which met in Colombia, failed their constituents. So did the Diamond Producers Association (DPA), of which De Beers holds the current chairmanship. Why was the natural-diamond-industry lobby ineffective a year ago — if active at all — while synthetics producers were convincing the FTC to include them in its definition? Where is the outrage from DPA members over their chairman actively working against the group’s mandate to promote natural diamonds as real and rare? The industry’s reactive approach to the synthetics issue signals a need to update its strategy. Perhaps an initiative to combine the roles of the WFDB and IDMA into one organization would bring them new energy and purpose. For now, the inability to change leadership at these organizations suggests the rest of the trade sees them as ineffective. As the WFDB and IDMA begin another term with the same leadership and a new committee working to spread the WFDB’s influence, we urge trade groups to be more proactive in dealing with the many challenges facing the natural-diamond market. This report first appeared in the November issue of Rapaport Magazine.